Big British companies will soon be forced to come clean about how much they pay their male and female employees. They will have to publish detailed information about gaps in salaries and bonuses starting 2018. The plan is part of the government's strategy to put an end to gender pay discrimination. That will help the government identify companies with the least women in their leadership. Using all this data, the government is planning on putting together gender pay gap "league tables," so that anyone could check how companies stack up in each sector. The Fawcett Society, which campaigns for gender equality, called the new rules "the best opportunity in a generation to close the gender pay gap." But the group's chief executive, Sam Smethers, said the government could do a lot more to eradicate gender discrimination. "Naming and shaming employers that do not comply is not enough ... without stronger penalties and pressure for companies to take action, those employers who are doing the right thing risk being undercut by those who won't play by the rules," she said. Related: Why are women paying more for the same products? Business leaders are a lot less excited about the prospect. "League tables should not be used to name and shame firms, as data will only be able to present a partial picture, particularly given factors such as the mix of part-time and full working and sectoral differences," said Carolyn Fairbairn, the director general of the CBI, a business lobbying organization. 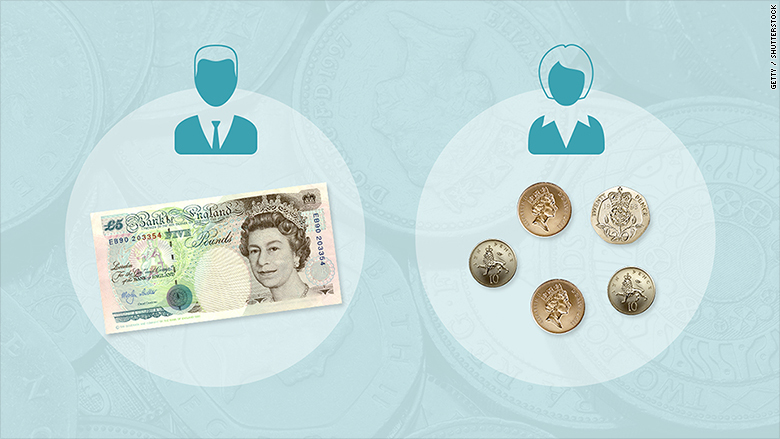 The gender pay gap stands at 66% in the U.K., according to the World Economic Forum. That means women earn about two-thirds of what men make for similar work. The U.K. is not an exception: Women are paid less than men for doing the same job in every country in the world. 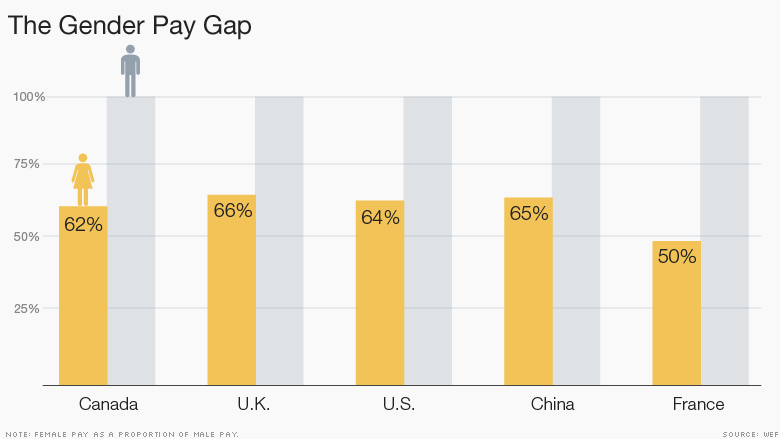 According to the WEF, women in the U.S. can expect to earn even less. While the pay gap has been closing for decades, the progress has stalled in the last few years. It will now take 118 years for the economic gap between men and women to close, the WEF said in its latest Global Gender Gap report.